Kander & Ebb, what do these two words mean? In the television special THE MUSIC OF KANDER & EBB: RAZZLE DAZZLE, that question was put to several people at the door of the Shubert Theatre on Broadway, where the revival of CHICAGO was playing at the time, and no one knew the answer. People are familiar with songs like “New York, New York” and “Cabaret”, but they don’t know who wrote them. Once upon a time I was like them; to me their names meant nothing. But things change and maybe with this small unofficial blog I’ll help people to discover who they are. The first time I had contact with their songs was when I saw the film FUNNY LADY, I was 11 years old by then and I fall in love with two songs in particular: “Blind Date” and “How Lucky Can You Get”. Kander & Ebb wrote both, but I didn’t pay any attention to their names on the credits list. One year later I saw NEW YORK, NEW YORK; for me the movie was kind of boring, but the title song was wonderful and “Happy Endings” was terrific. Once again I failed to notice their names. But things were about to change. Months later my parents gave me the Original Broadway Cast Recording of CHICAGO and I couldn’t believe my ears! It instantly became my favorite album and it still is my all time favorite score. One year later, when I saw Bob Fosse’s CABARET, I pay attention to the credits and the names of Kander & Ebb already meant something to me. But enough about me, let’s talk about them. 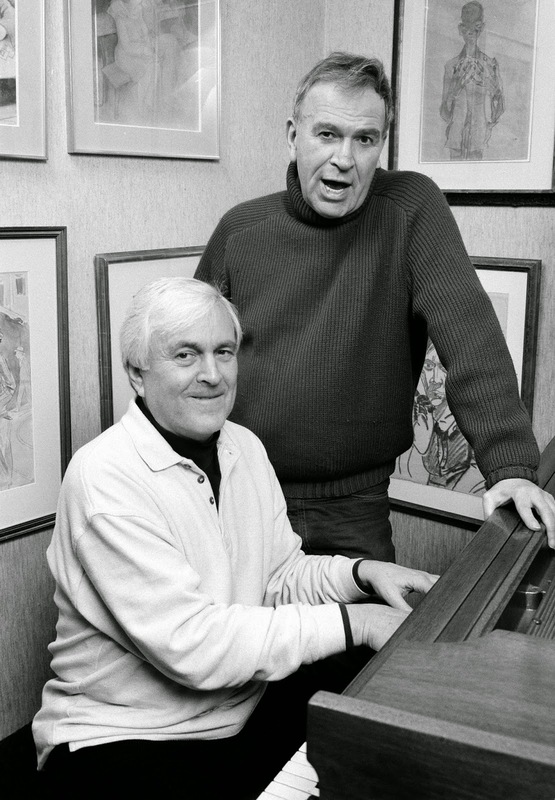 Let’s begin with John Kander, the composer. He was born in Kansas City, Missouri on March 18, 1927. By the age of six he began taking piano lessons and later started studying music at the Conservatory of Music in Kansas. Early in his career he worked as a conductor and pianist for several theatre productions. From 1955 through 1958, he was the choral director and conductor for the Warwick Musical Theatre in Rhode Island. As a pianist he played in THE AMAZING ADELE and AN EVENING WITH BEATRICE LILLIE, and he was the musical director for the Barbizon Plaza revival of Noel Coward’s CONVERSATION PIECE. One day he met the pianist of the pre-Broadway tryout of WEST SIDE STORY and when he went on a vacation Kander took his place. During that time he played rehearsals for Jerome Robbins and Ruth Mitchell, who asked him to be the audition pianist for GYPSY. Robbins took notice of him and invited him to write the dance arrangements for that show. Later he also arranged the dance music for IRMA LA DOUCE. In 1962 he made is Broadway debut as a composer with the short-lived musical A FAMILLY AFFAIR, with lyrics by James & William Goldman. He also supplied incidental music for IT’S NEVER TOO LATE at the Playhouse. 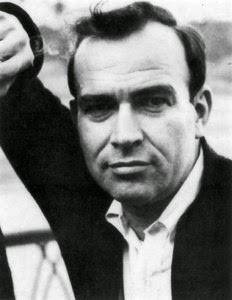 Fred Ebb, the lyricist, was born in New York City, on April 8, 1932. He fall in love with the theatre at a tender age, but after graduating from New York University and receiving a Masters Degree in English Literature from Columbia University, he worked at a hosiery company, in a department store credit office, as a trucker’s helper and bronzed baby shoes. But his heart was in theatre and every time he had a chance he went to see a show. By the age of 20 he decided to start writing songs and through an agent he wrote special material for Kaye Ballard, Carol Channing, Tommy Tune and everyone who was willing to pay for his work. 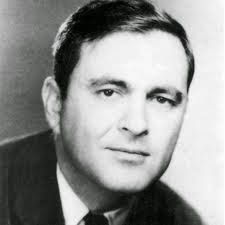 His first collaborator was Paul Klein and together they contributed to the revues PUT IT IN WRITING, FROM A TO Z (where he also worked with Jerry Herman) and VINTAGE 60, and to the “play with music” MORNING SUN, to which Ebb also adapted the libretto from a story by Mary Deasy. He also wrote for the television series THAT WAS THE WEEK THAT WAS, which also had songs by Tom Lehrer. In 1953 he and composer Phil Springer were hired by Columbia Records to write a song, “Heartbroken”, for Judy Garland, that became his first published song. Among others they wrote the songs “How Little We Know”, “Santa Baby” and “Nevertheless I Never Lost the Blues”. In the early 60s history was made: Kander and Ebb were introduced to each other. Their first successful song was “My Coloring Book” that was recorded by Barbra Streisand, who also recorded their “I Don’t Care Much”. The duo continued writing songs and came up with a new musical, GOLDEN GATE, which was never produced. Anyway, they use it in the audition for FLORA, THE RED MENACE and were hired to write it. This show wasn’t a hit, but it was the beginning of a life-long relationship with Liza Minnelli, who made her Broadway debut with this show. They also wrote an industrial musical in 1966, it starred Valerie Harper and was entitled GENERAL ELECTRIC'S GO FLY A KITE. One year later Kander & Ebb had their first big success. Harold Prince, the producer of FLORA, asked them to write the score for the musical adaptation of Christopher Isherwood’s BERLIN STORIES and John Van Druten’s play I AM A CAMERA. The result was CABARET, that ran for 1.165 performances on Broadway and won several Tonys, including Best Musical and Best Score. 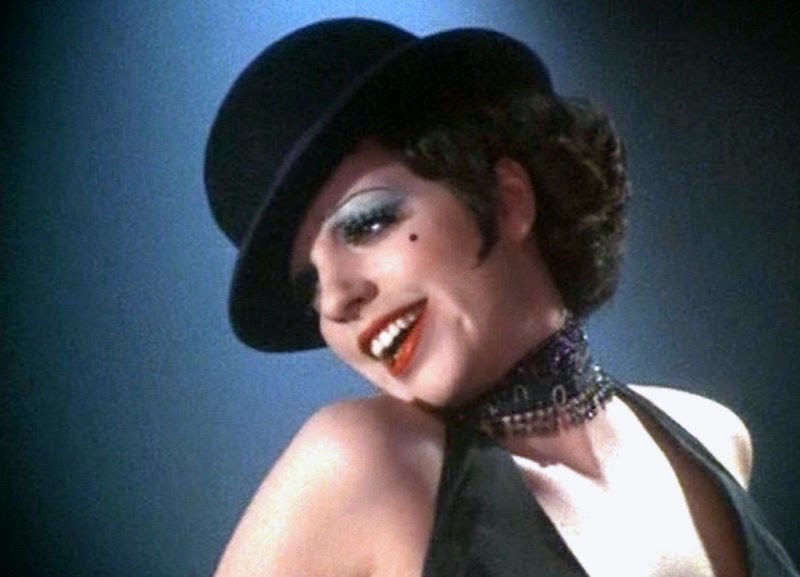 A few years later CABARET became a hit movie, directed by Bob Fosse and starring Liza Minnelli, to which they wrote a couple of new songs. Other shows followed, THE HAPPY TIME, ZORBA and 70 GIRLS 70, but none was as successful as CABARET. In the meantime they also wrote new songs for the television special LIZA WITH A Z and for Barbra Streisand’s movie FUNNY LADY. In 1975 they had another hit in their hands, CHICAGO, but although it ran for 932 performances it was obscured by the success of A CHORUS LINE. It became one of their best scores and several years later it got all the recognition it deserved. More recently it was turned into a highly successful movie to which they wrote a new song, “I Move On”, that was nominated for the Oscar, although it lost in favor of a song by Eminem (how could that happen?). Two years later, in 1977, they wrote their most famous song, the title song of Martin Scorsese’s film NEW YORK, NEW YORK. Once again it was sung by Liza, but it was Frank Sinatra who turned it into a hit and later it became the unofficial theme song of New York City. They followed it with a stage musical written specially for Liza, THE ACT, that wasn’t very successful and then with another hit, WOMAN OF THE YEAR with Lauren Bacall. This show gave them their second Tony. 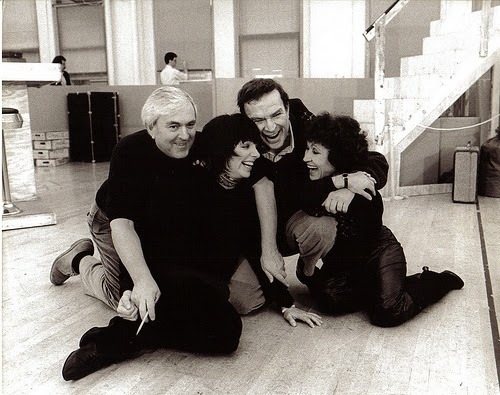 Next in line was THE RINK, with Chita Rivera and Liza, and another big hit KISS OF THE SPIDER WOMAN, their third Tony. STEEL PIER was their last show to open on Broadway and, although they have came up with another terrific score, the show didn’t succeed and closed after 76 performances. Two new shows, OVER AND OVER (aka THE SKIN OF OUR TEETH) and THE VISIT, were produced out of town and more than a decade later the second one has finally arrived on Broadway. Before it, two other musicals opened on New York, CURTAINS and THE SCOTTSBORO BOYS; both showed that Kander & Ebb still got it and could delivered great scores. Sadly, Ebb died before these shows opened but his spirit is very alive. Fortunately, Kander didn’t give up after his partner’s death and with THE LANDING begin a new partnership with Greg Pierce, that recently gave us KID VICTORY. I haven’t heard this scores yet, but I sincerely hope that someone will release cast recordings of both. Working together for almost five decades, Kander & Ebb became the longest running music and lyrics partnership in Broadway musical history. 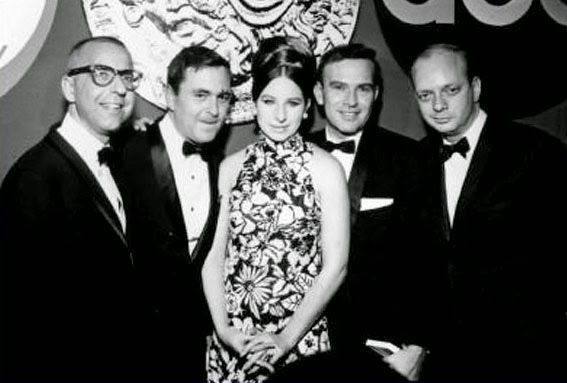 In their rich career we can discover beautiful ballads like “A Quiet Thing”, delicious comic songs like “The Grass is Always Greener”, simple melodies like “Second Chance”, terrific dance numbers like “All That Jazz” and powerful hymns like “The Day After That”, but they will always be remembered for “Cabaret” and “New York, New York”. 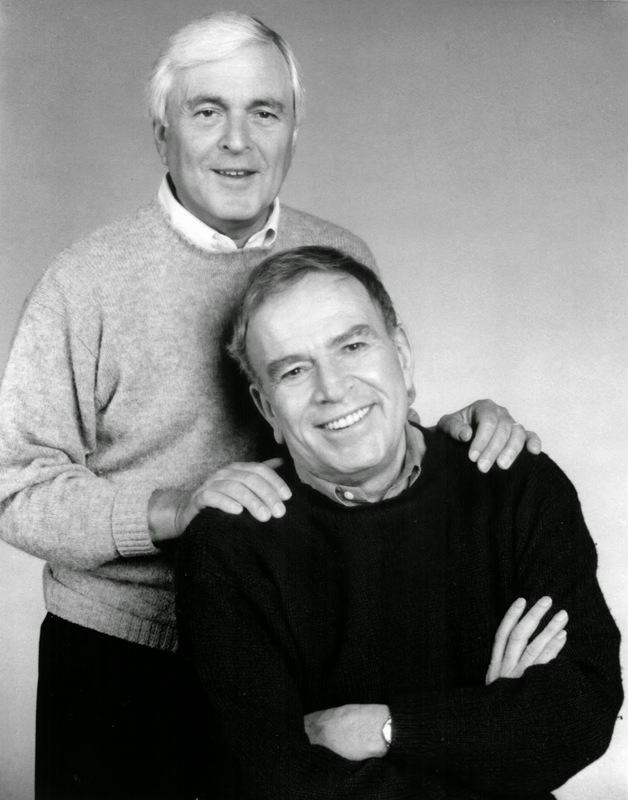 In one of their songs, “Life Is”, Ebb wrote “Life is what you do, while you’re waiting to die” and these guys wrote (Kander still is) musicals, enriching our lives. The Musical needs more people like them and so do we.